17th September meant a prompt start for us, as we had to leave Dubrovnik and head up the coast. To make the journey more pleasant, we took the coast road (slower than the main road, but much more scenic). 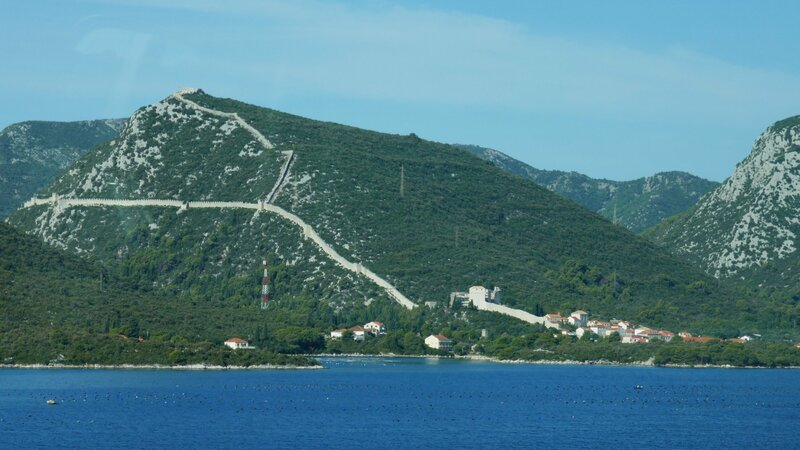 The view over the Adriatic was lovely, and included some interesting sights, such as an old wall which was a fortification to seal off an area to protect the extraction of salt. Then we encountered something which is typical of the complexities and conflicts in the region – a border! We had to enter Bosnia Hercegovina, a country created by the Balkan wars of the 1990s. A commonly-held idea is that a break in Croatia was created in order to give Bosnia access to the sea, but Željko disabused us of this notion, saying that the real reason is that Dubrovnik, which used to be a self-contained city state, insisted on retaining its separation (whilst still being part of Croatia, which was, of course, also a country created by the Balkan wars). So, now there’s a border, not only into a different country, but, of course, going out of the EU, which makes it a much bigger deal altogether. 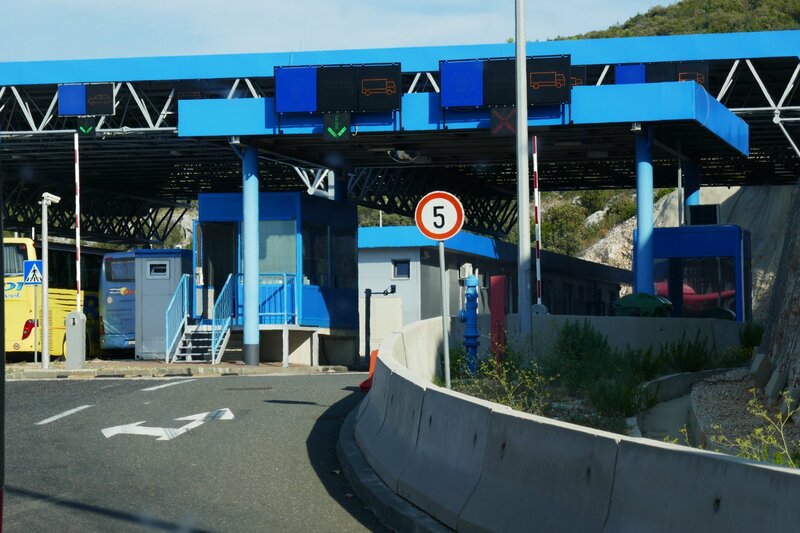 Fortunately, the border guards were not on work-to-rule, as can happen sometimes, and so waved us through with just a few words with driver and guide. but whose stepladder didn’t seem to be tall enough to reach the top name! 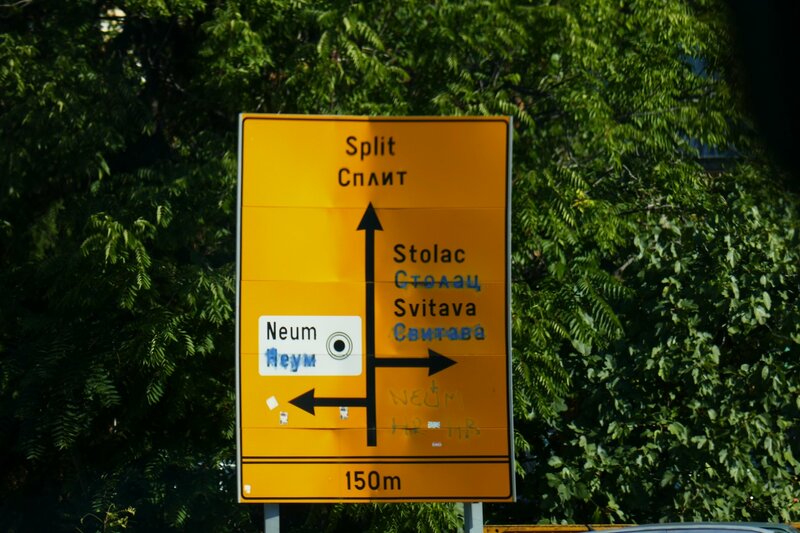 We saw other, more extreme examples of blacking out the Cyrillic script, as that is the Serbian alphabet, and this was southern Bosnia. 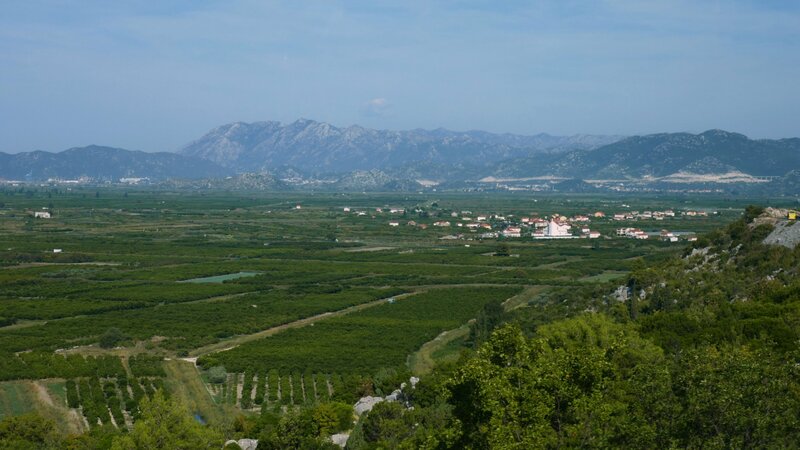 After a while, we reversed the border process and re-entered Croatia, whereupon the landscape changed dramatically as we entered a fertile plain, where many varieties of produce are grown. Grapevines, watermelons and tangerines figure highly among what’s grown, and there are many roadside kiosks where one can stop and buy fresh samples. 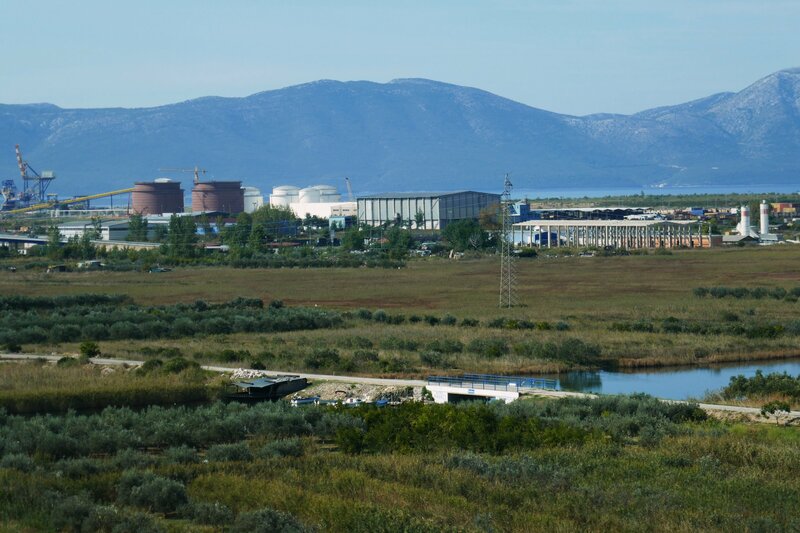 We passed Ploče, of which you’ll have seen an aerial photo earlier, because you were paying attention, weren’t you? Anyway, here’s what it looked like from the ground. Shortly after this, we swung off the coast road and up into the hills, to Gornji Tučepi, which was the start of the day’s (hot and sweaty) walk. You’ll have to wait for the next entry to read all about that. Stay tuned! 2 Responses to "Day 3 – Borderline exciting"